Backed with the support of a highly dedicated staff of professionals, our company has been engaged in the premium delivery of Green Phenyl. Devika Green is an excellent & economical concentrated floor cleaner! 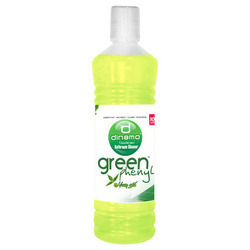 We are mfg stay green herbal phenyle for floor cleaning. It is mfg from neem extract and pine oil. It work as a natural insect repellent and room freshener. 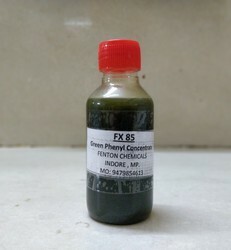 Green Pine Phenyl Cleaner. Strong multipurpose cleaner. Pine fragrance. 200ml bottle. Box of 40 bottles. We manufacture raw materials for Green phenyl. It is a concentrated Green phenyl which can be diluted upto 10 litres to make Green Phenyl. You just need to add water and Green Color and your green phenyl is read. - With our in-depth knowledge of this domain, we are actively engaged in offering an excellent quality assortment of Green Phenyl Concentrate. In order to keep pace with never ending demands of clients, our company offers Sunnol 200ml Green Phenyl.